Lisbon (AFP) – Five hundred years after the Portuguese became the first Europeans to establish sea trade with China, a town in northern Portugal is counting on its youth to secure a new foothold in the Asian giant. 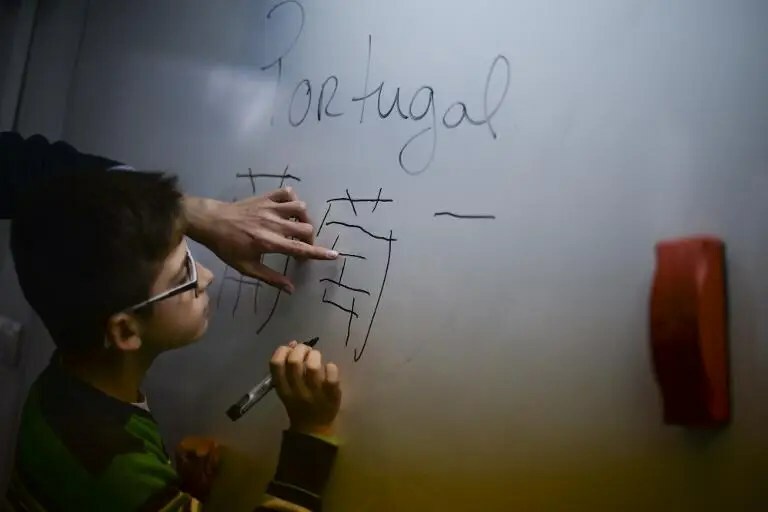 The small industrial town of Sao Joao da Madeira, Portugal’s shoe capital which specialises in luxury models, has now made Mandarin compulsory for its 8- and 9-year-olds. The aim is to give their youth the competitive tool to help sell its footwear to China. And the government, battling to put six years of debilitating crisis behind, is watching the town’s experiment closely to see if it can be replicated throughout the country. “Chinese is the key which will open the doors to the world’s biggest market,” said Dilma Nantes, Sao Joao da Madeira’s city councillor on education. China may be known as the factory of the world, and is indeed the biggest producer of footwear — making 10 billion pairs a year — but Portuguese shoe-makers are starting to step into the huge Asian market.